So it’s that time of the year again, towards the end of the year when we come up with lists like this, after weeks of compilation, surveys and reviews. We’ve decided to bring you a comprehensive list of 20 most beautiful Kenyan women. You’ll probably agree with me that compiling a list like this can be very tedious since we have so many wonderful and strikingly beautiful ladies all around Kenya, starting with our moms and sisters. When it comes to beauty, beautiful Kenyan women take the lead. With their tall and elegant looks, you’ll have no option but to nod in approval whenever you come across one. Whenever Kenya is mentioned, most people think of the East African country in terms of tourism and Wildlife but Kenya is not just all about the Wildlife, the Mountains and the tourism, it has in the past and present produced some of the world-renowned personalities. The country is also blessed with some of the most beautiful women you can find in the world today – beautiful in every ramification. Indeed Kenyan women are a beauty to behold. Here, we bring to you 20 most beautiful Kenyan women. Susan Anyango is a half Kenyan half Russian who became the most beautiful girl in Kenya 2011 – 2012 at age 19. The 6 feet tall, very soft-spoken model lost her parents at a very tender age and was raised by her older brothers and relatives. She was once Miss Kerugoya for two years and has featured in a Safaricom advert. Apart from modelling, Susan studied Journalism and Communication at KEMU (Kenya Methodist University). Kambua was born and raised in Nairobi as the second child of three children of Professor Manundu and Evangelist Lois Manundu who are also the co-founders of Tabibu Ministries. With Bachelors of Arts (music) degree, acquired from Ambrose University College in Calgary in 2008, Kambua has won many awards in her music career including, Groove Awards female artist of the year (2009), Kisima Awards Afro-fusion female artist of the year(2008), Groove Awards songwriter of the year award (2012) and still counting. Her music albums are Nishikilie and Nyumbani. Serah Ndanu (born March 3, 1988) is one of Kenya’s most celebrated actresses, having played leading roles in both television and film projects. Due to her excellent performance in The Rugged Priest in 2011, the 29-year old won the 2011 Kalasha Award for the Best lead actress. Joey Muthengi is a media personality and actress who penetrated Kenya’s entertainment industry as a radio personality on 98.4 Capital FM from 2009-2013. Joey was born in Kijabe, Rift Valley before her family moved to the United States when she was 2 years old. She divided her education between Kenya and the United States where she later studied Communications and Business Managment at Hope College. While focusing on her career, Joey is currently the co-founder and a Director of the Muthengi Foundation, a non-profit charity organization that aims to develop economic empowerment through education. Don’t Miss: Hilarious jokes, Trust jokes, Love messages, Happy birthday niece. Alice Kamande is the last child in a family of five, a gospel singer, songwriter, jewellery/fashion designer, dancer and choreographer. Her love for music started at a very young age, hence, her decision take music as a full-time career. With the support of decorated producer Robert “R-Kay” Kamanzi, who is also her mentor and brother-in-law, Alice recorded her debut single which hit the top chart in the Gospel music industry. Sheila Mwanyigha was born and raised in Nairobi, Kenya where she graduated from the University of Nairobi with a Master of Arts in Sociology (Medical Psychology). She is a media personality, hosting different Radio and TV stations in Kenya and other African countries. Nikki first appeared in Kenyan music industry in 1997 and 1999. In 2006, she won her first Kisima award and some international nominations in the Channel O music awards. Marya (Mary Maina) is a singer and actress who is regarded as one of the most beautiful Kenyan women and celebrities. She was born and raised in Nyeri by her foster parents – after the demise of her biological parents. She joined the entertainment world right after high school, signed to the Ogopa label. Although her personal life seemed to put a dent in her music career, her fans believe Marya will make a huge comeback with more hit tracks. Her songs include Hey Baby, Chokoza, Mahaba, Sishiki Simu. 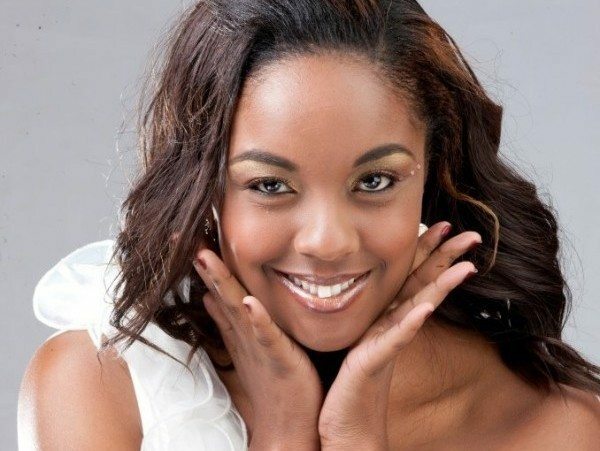 Brenda Wairimu is a Kenyan model and actress best known for her role in the soap opera Mali. 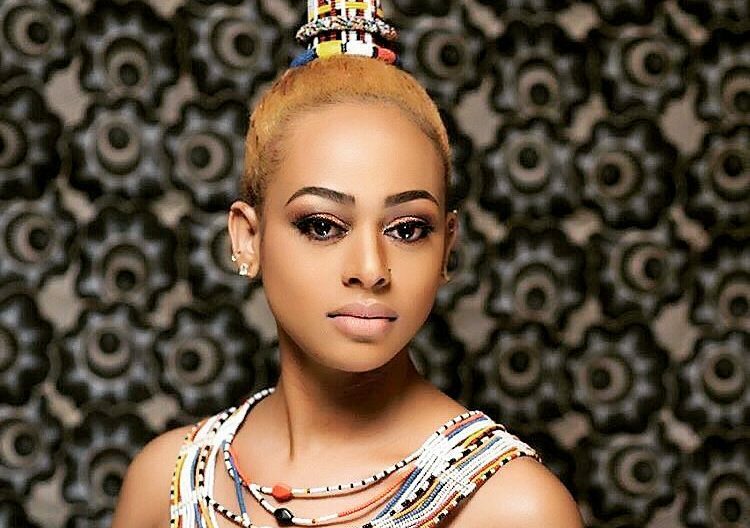 The 28-year old has also featured in various television series and played alongside actors like Mkamzee Mwatela, Mumbi Maina and Daniel Peter. Linet Masiro Munyali popularly known as Size 8, is a Kenyan singer, songwriter and actress. Born on August 4, 1987, she was a secular artist and is known for her singles “Shamba Boy” and “Moto”. However, Size 8 turned born again, diverting completely to gospel music and subsequently releasing her first single Mateke. She is currently married to Samwel Muraya, commonly known as DJ Mo and the power couple had a daughter in 2015. Habida is a Kenyan musician, writer, actress and performer with a mixed cultural heritage; her father is from England and Ireland and mother is from Kenya and Somalia. She began her career journey from London then moved to Atlanta where she got her degree in performing arts. Habida and her husband Daniel Ebo settled in Kenya after their wedding where she released the well-known hit song Sunshine that saw her win various awards at the kisima awards. Rosemary Wahu Kagwi is a former model who graduated from the University of Nairobi with a degree in mathematics. Her music career took off in 2000, crowned with first three singles –Niangalie, Esha and Liar. She is married to Kenya’s award-winning musician, Nameless and they have two daughters. Stella Mwangi, professionally known as STL joins the list of most beautiful Kenyan women. Born on September 1, 1986, the Kenyan-Norwegian singer, songwriter and rapper has released hit songs in Kenya, Senegal and Zambia. Stella has won several awards including; the Kisima Awards, Clops Awards and Jeermaan Awards and is one of the most popular singers in Norway after winning the Melodi Grand Prix 2011. Karun became popular in Kenya under a successful music group known as the Camp Mulla. She later left when she decided to move to the US to complete her studies and also start her solo career. Chantelle was born and raised in Limuru before her family moved to Nairobi and without doubt, one of the most beautiful Kenyan women. Despite being a secular artist with her hit song Toklezea, Chantelle dropped after her marriage to born-again producer J Blessing. However, fans are hoping for a huge comeback come this year. The list of most beautiful Kenyan women will not be complete without Lupita Nyong’o. Born in Mexico on March 12, 1983, the black beauty attended college in the United States where she earned a bachelor’s degree in film and theatre studies from Hampshire College. Her career journey started from working as part of the production crew for several films in Hollywood, from whence she took up acting. Lupita became the first Kenyan and first Mexican actress to win an Academy Award after her role as Patsey in historical drama 12 Years a Slave in 2013. Pierra Makena is among the top female DJs in Kenya. She is well known for her acting skills back in Tahidi High – a famous TV drama aired every Tuesday night on Citizen. 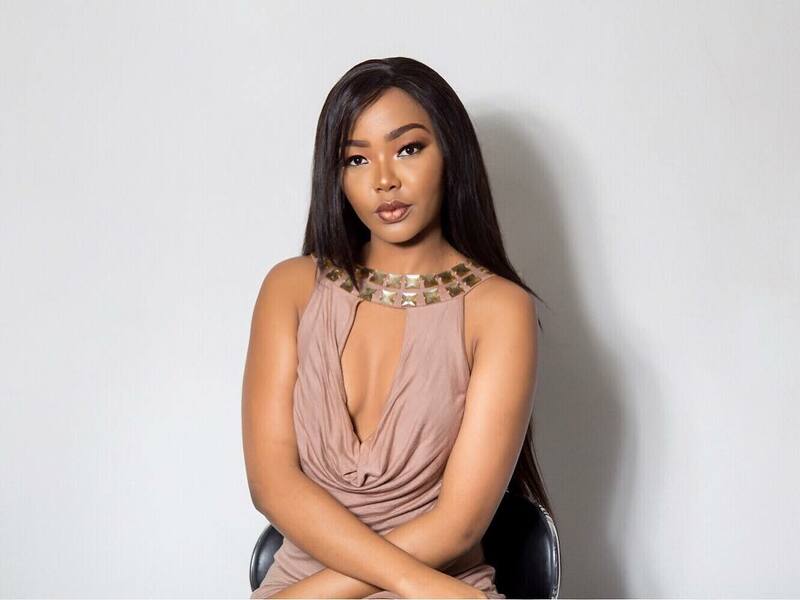 Makena has won best-supporting actress for her role in When Love Comes Around at the annual Nollywood and African Film Critics awards held in Los Angeles. Sarah Hassan was born on September 5, 1988 and raised in Mombasa by her parents, Lucian and Hassan as an only child. The actress, TV host and model is popularly known for her role in the Tahidi High Show as Tanya – the show that lasted for almost four years marked her journey to stardom. Sarah also hosted the Wedding Show before relocating to Los Angeles with her fiance Martin Dale to pursue her dream profession at the New York Film Academy in Los Angeles. Professionally known as Sana, Sanaipei Tande was born on March 22, 1985, in Mombasa. After high school, she decided to skip college despite gaining admission to study Pharmacy at the Kenya Medical Training College and chose to temporarily pursue a career in music. Her journey to stardom started when she joined the reality competition East Africa Coca Cola Popstars Talent Search after much coaxing from her family. She and her two ‘Sema’ bandmates Kevin ‘Kev’ Waweru and Pam Waithaka emerged victorious and the trio released their debut single Leta Wimbo and a seventeen-track album which thrust them into the limelight. However, the group later disbanded and Sana went solo with a number of singles to her name including Najuta, Niwe wako, Kwaheri, Big Shot Remix, I am here, Mulika Mwizi and Mtoto wa Geti Kali. Tero Mdee is a media personality and musician who was a former host of Straight Up. The pretty damsel kissed her secular lifestyle goodbye after she married a Tanzanian Pastor and since has released a gospel single dubbed Taa Ya Miguu Yangu.